The lifestyle, economic basis and political affiliations of the British upper class are the focus of this exciting new textbook. Combining a review of existing sociological theory on class and capitalism with material drawn from a great variety of sources it is likely to become a standard course text. 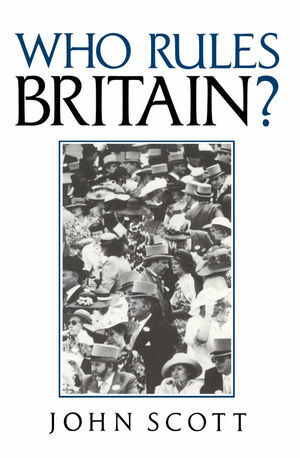 Examining the question of whether there is still a ruling class in Britain, John Scott presents an account of the historical development of the British upper class, the development of industrial and financial dynasties, town and country society as well as of London and the political world. Photographs and other illustrations cover subjects as diverse as public school fees, the structure of parliament, and the dates and events of the 'Season'. John Scott is author of many other works on the subject of wealth and the upper class in Britain, including Sociology of Elites. He previously taught at the University of Strathclyde. Clearly written Who Rules Britain? is made extremely accessible by extensive use of illustrations and diagrams.